Good-bye, old back breaking filter! 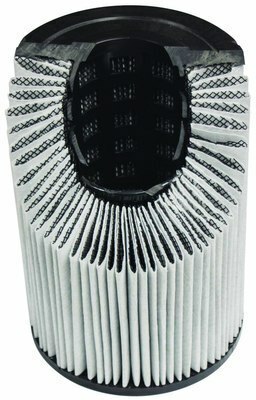 The superior filter technology behind the Black Diamond™ filter is the cartridge. Made from 100% Reemay, combined with the Black Diamond­'s exclusive chain link webbing, filters out debris as small as 2 microns in size. This technology allows less particles back into your pool water, saving you time, and money on expensive corrective chemicals. 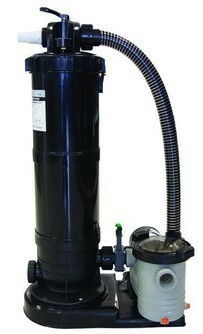 Stop working hard to maintain your old filter, and switch to a Black Diamond™ Cartridge Filter Today! The Black Diamond™ Cartridge Filter works for you! 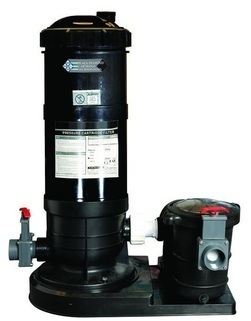 With its simple operating and maintenance patented technology. Who's Working Harder... You, or Your Filter? 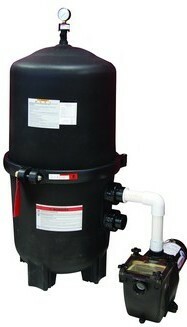 Uses patented Black Diamond™ element to clean your pools water. The Best Pol Filtration... ANYWHERE! Let the Black Diamond™ Cartridge filter work for you! Longer Filter Cycles Save You Time and Money! Blue Torrent Pool Products is the number one leading manufacture in the pool industry. No other manufacturer in the industry offers such a massive warranty. Blue Torrent™ offers every type of filter to fit your pool needs. NEVER Use Media like DE or Sand AGAIN!